The competition in the market is becoming stiffer with the rising expectations of the customers. Every business owner is now streamlined towards living up to the expectations of their customers in the on-time delivery of the software. Supreme quality, innovativeness, creativity plus speedy delivery of the project are the need of the hour. It is necessary that the business owners must deliver the premium quality service within the scheduled time to cover up the deadlines. So, you need such a system that guides you through the administrative delays and help you implement the process. Here, the need to accelerate your development and delivery arises. You need to save the valuable time and not waste it in the downloading process. The Repository Manager comes into action here at this point and in this post, we will discuss that how he can help developers save on manual efforts and time spent in downloading artifacts directly from public repositories. Also, we discuss the role of a repository manager in safeguarding the source code’s exposure to others by minimizing the risk. It is the chain that is involved in the process of supply of software. In software development, the reason behind a perfect delivery is the combination of the services such as third party components, propriety & open source components. The collaboration of all the aforementioned components forms a software supply chain which is known as the repository manager. It binds the components together as well as it examines their quality. It helps the development teams to avoid downloading the artifacts from public repositories. The time-consuming process of downloading the library from public repository gets saved and the teams do not need to browse through the entire library to get the access to a single component. The developers will not get stuck in the slow internet speed while downloading the artifacts from public repositories. It will put no effect on the quality of the design. The deployment process gets enhanced even when the changes are made or dependencies are added. Local Storage of Artifacts: A repository manager helps in boosting the efficiency of the developers by providing them the direct access to the dependencies whenever they require. Instead of contacting public repositories, the developers save their time, which gets dumped in downloading huge files. Enhancing the Performance: A repository manager brings out the best of the development team by providing them quicker access to the libraries and this result in the enhancement of the developers. Enriches the Relations: The repository manager enriches the relations between the development teams in the organization by the cumulative efforts and by providing reliability, efficiency, security, stability, and productivity. 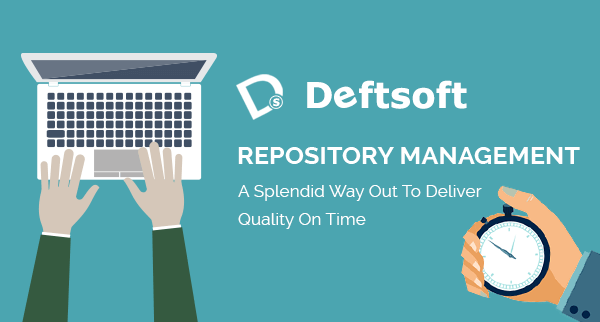 Conclusively, we can say that the Repository Management is becoming a vital part of the business and its role in enhancing the build performance and saving valuable time is impeccable. The rapid growth of Repository Manager in the business organization is the new way towards innovation and taking the technological world to the next level.